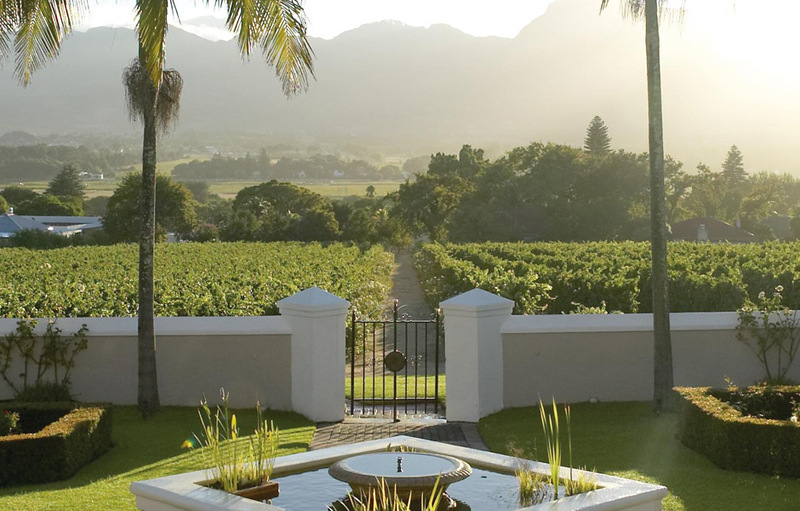 In the heart of the Cape Winelands lies the scenic town of Paarl. The town’s history dates back to 1657 when, legend has it, Abraham Gabbema stumbled across the beautiful valley on a trip to the Berg River Valley. When he looked up at the three huge granite domes glistening wet from the recent thunderstorm he named it De Paarl (The Pearl). 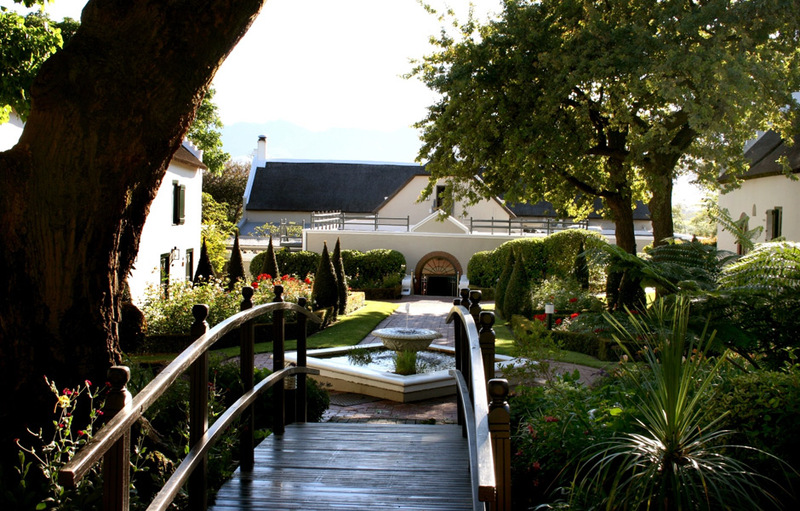 The town is home to the headquarters of KWV (Cooperative Wine Growers’ Association) and marks the start of the Paarl Wine Route. 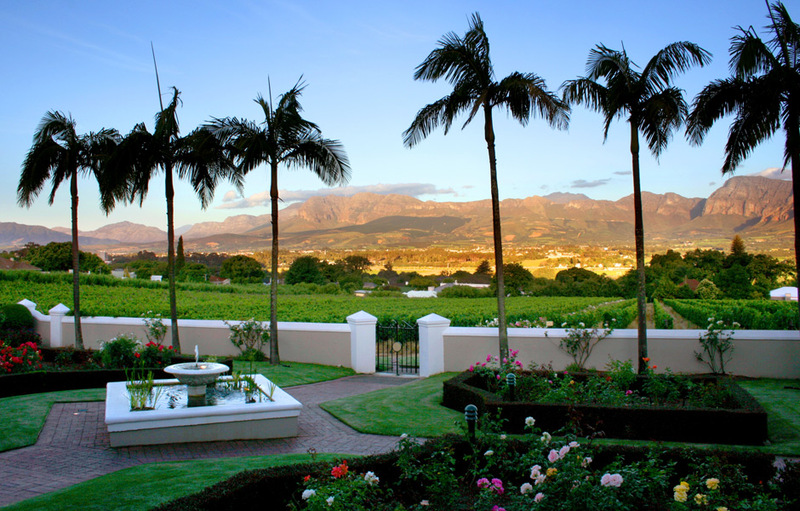 Each year it hosts a number of big events including the Nederburg Wine Auction, The Festival of the Vine, the KWV Canoe Marathon and the Paarl Golf Tournament all of which attract nationwide interest. 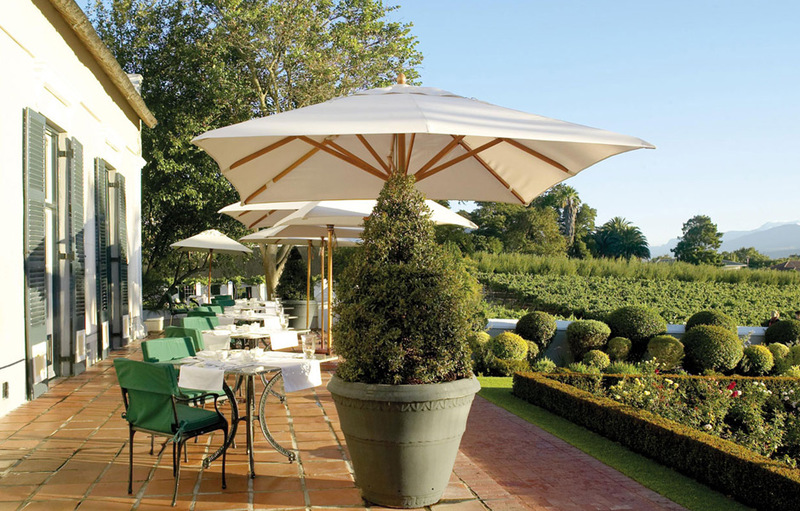 Paarl is also the home to The Grand Roche, an internationally acclaimed, delightful haven of warm hospitality. 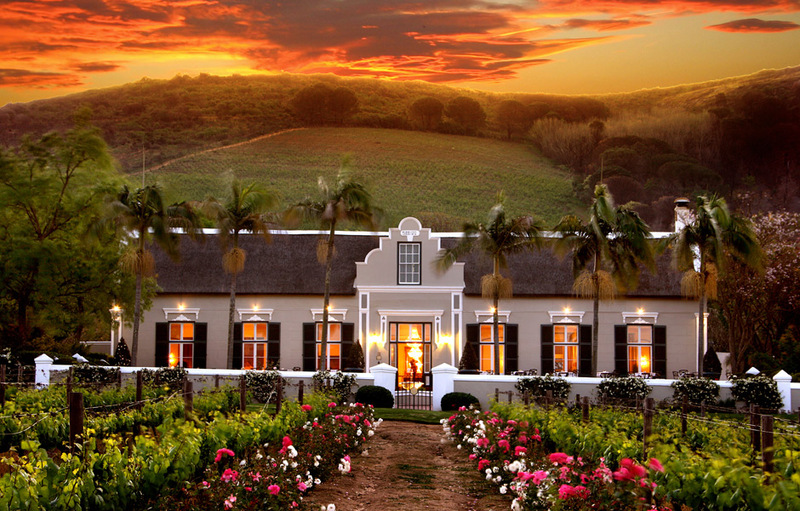 The hotel is nestled on the gentle slopes of a working farm and affords guests magnificent views of the surrounding countryside, vineyards and impressive Paarl Mountains. There is a wealth of local history at Grande Roche. The 18th century manor house was impeccably restored and offers guests the choice of 29 luxury suites and six executive rooms. The original slave quarters were converted into five luxury Duplex Suites which are perfect for visiting families. In the restored coach house and stables, you will find six standard rooms, all individually appointed and decorated. The elegant decor in this Cape Dutch homestead is a classic contemporary. Clean lines, rich colours and luxurious textured linens encourage guests to sit back, relax and enjoy their surroundings. The multi-award winning Bosman’s Restaurant delivers a truly world class dining experience. The mood is gracious, welcoming guests to indulge in honest, contemporary, gourmet and vegetarian cuisine. An expert sommelier is on hand to assist you in pairing some of the superb wines with your chosen meals. For a more relaxed, casual dining experience The Bistro Allegro offers guests a variety of Cape inspired faire. Take a walk around the Estate and take in all it has to offer. Spend time at Lina’s gallery featuring the works of two international artists – Lina Yao and Jean Doyle. Lina is known for her beautiful oil paintings that capture the beauty and spirit of South Africa’s landscapes, portraits and still life’s. Jean Doyle is a renowned bronze sculptor of African figures in a quirky combination of voluptuous grace and weighty elegance. Pop your head in the intimate historical chapel – the perfect place for blissful nuptials – or purchase gifts at the hotel’s boutique shop. Unwind as you are pampered at the health centre where guests can ease the stresses of the day in the steam bath, sauna or have a relaxing massage. For the energetic guest, there is a fitness centre, two floodlit tennis courts and two swimming pools onsite and a number of world class golf courses nearby. Gracious hospitality is guaranteed from a team who live the values of friendliness, courtesy, respect, honesty and sincerity. You feel at home as soon as you arrive at Grande Roche, and the little touches like fresh flowers, fresh fruit and mineral water will lift your spirits and set the mood for your stay on this beautiful Estate. Each of the lavish rooms is individually decorated and designed to ensure the most comfortable stay imaginable. Rich dark wood furnishings are complimented by crisp white cotton linen and luxurious throws and pillows in a splash of rich velvet hues. Each of the 29 luxury suites and six executive rooms boast air-conditioning, under floor heating, digital telephones, satellite television, a mini bar, hairdryers, slippers, bathrobes, umbrellas and lush Molten Brown products in the bathrooms. The Executive rooms have an open plan lounge and bedroom ad a spacious en-suite bathroom with a separate bath and shower. 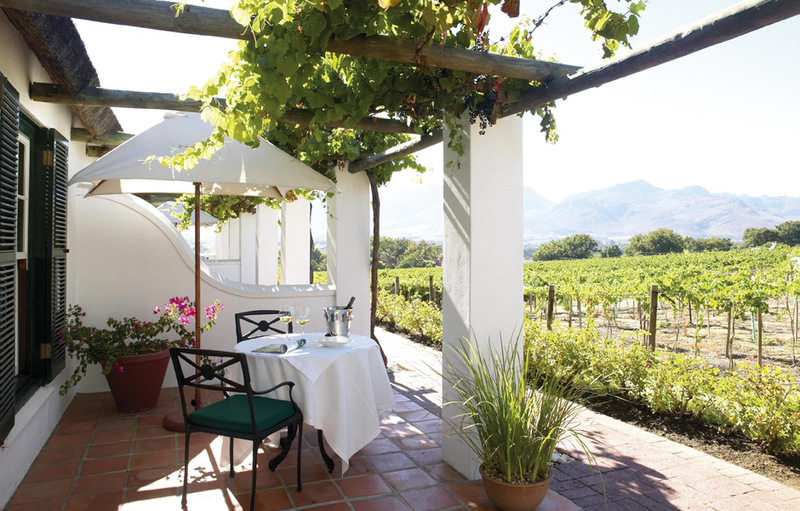 The Terrace Suites have a lounge, bedroom, en-suite bathroom and a front terrace overlooking the Paarl vineyards. For the ultimately decadent experience book your stay in the Honeymoon / Presidential Suite. This suite has a spacious lounge, inviting bedroom with king-size bed, en-suite bathroom with double shower, Jacuzzi and a private roof terrace.